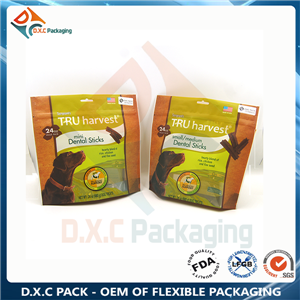 DXC PACK high barrieer pet food & pet treat stand up pouch is for the products which has request for the OTR and WVTR. 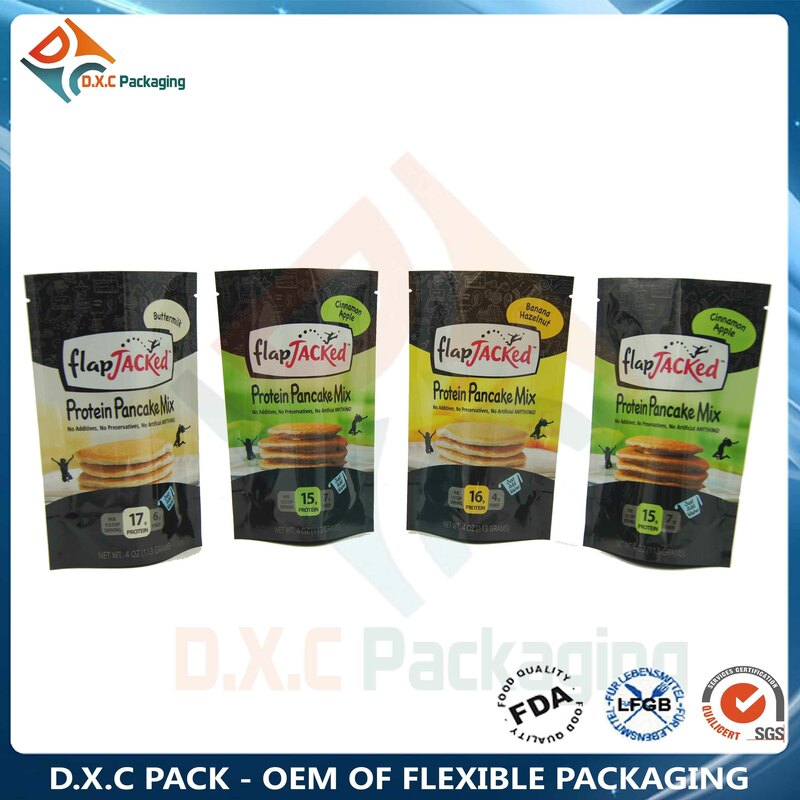 The high barrier material AloxPET can help longer shelf life. 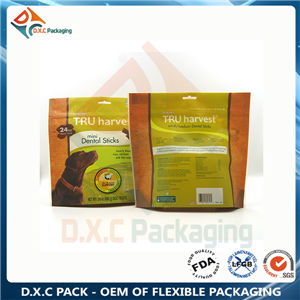 DXC PACK high barrieer pet food & pet treat stand up pouch is for the products which has request for the OTR and WVTR. 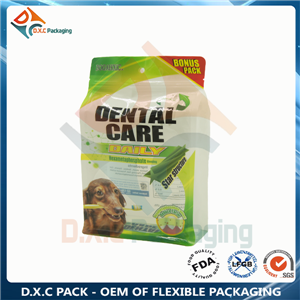 --The high barrier material AloxPET is transparent and it is better for product show. --This material OTR is 1cc/㎡.day. WVTR is 1g/㎡.day. 1. 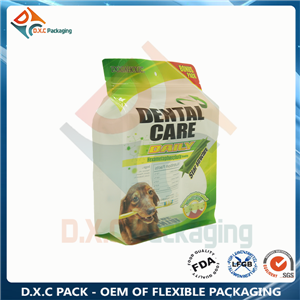 Material: with transparent high barrier material AloxPET. 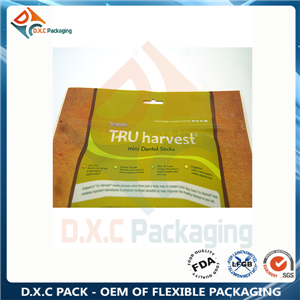 To protect your product from oxygan and water. 2. 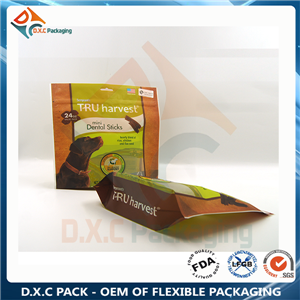 Printing: 9 colors gravure printing, glossy finished, matte finished, spot matte finished are available. 3. Feature: Zipper(press to close zipper, pocket zipper, slider zipper, velcro zipper), hang hole, butterfly hole, hangdle, tear notch, K seal etc.